MMA Puddle Arc Welding is the process of joining carbon steel crane rails. The rails to be joined together are aligned leaving a prescribed gap between their ends. Rail ends shall be smooth and free from defects and grease. The rails are set with a slight camber at the joint to allow for weld contraction and copper moulds are placed around and under the joint. 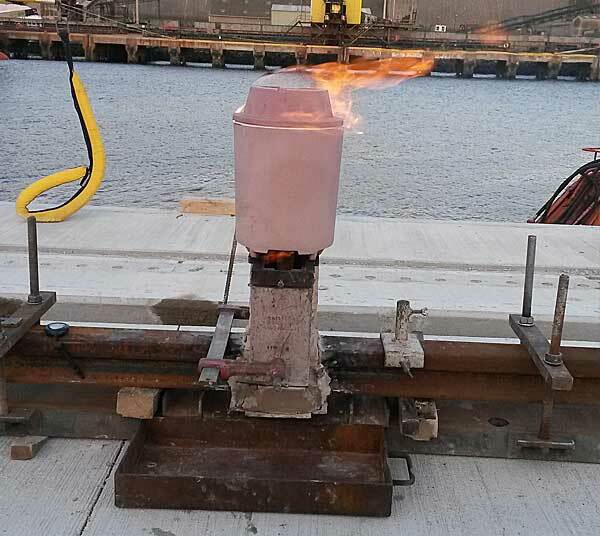 Joints are pre-heated to prescribed temperature and confirmed using temperature indicators prior to welding. Welding is carried out using low hydrogen electrodes to an approved working procedure by competent certified welders. This is only a process guide. If you require further details please contact us. Thermit welding employs an exothermic reaction to heat molten metal to permanently join the rail ends. Using a specially designed burner, the moulds and the enclosed rail ends are pre-heated for a time, dependent upon the rail section, to achieve the correct welding temperature of 900 – 1000°C. When the correct degree of preheat has been achieved reaction is initiated in the crucible using a special igniter. Superheated molten steel is produced by an Aluminothermic reaction (the Thermit® reaction). 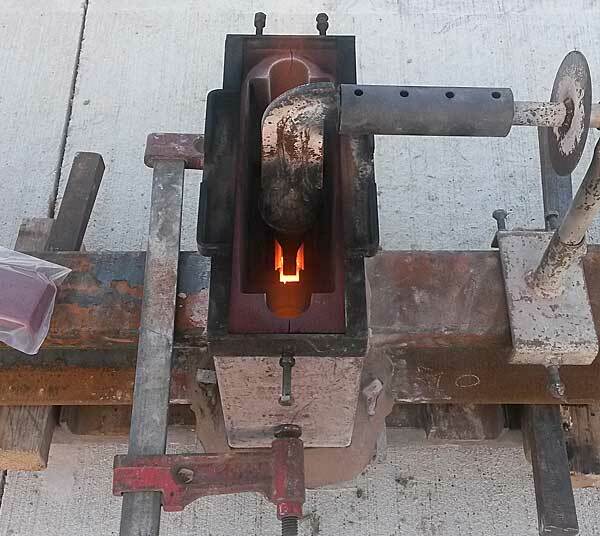 At the correct time the tapping system at the base of the crucible discharges the superheated molten Thermit® steel followed by the slag into moulds via the pouring cup. 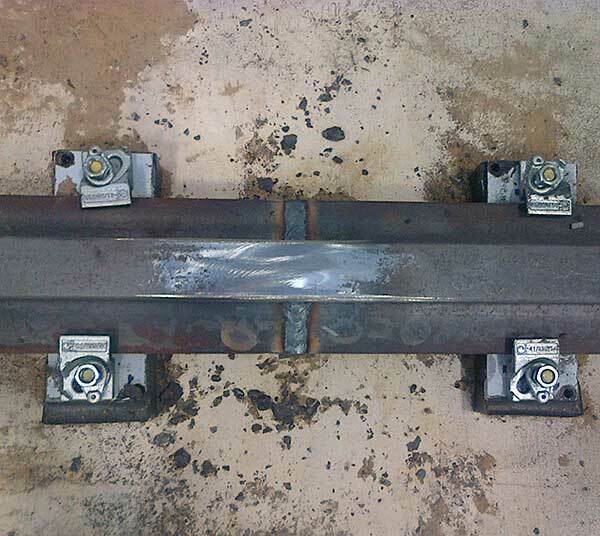 After solidification, surplus Thermit® steel is removed from the rail head and following an appropriate cooling period, the railhead is ground to profile and the rail aligned and fastened. If you require further details on crane rail welding or if you wish to purchase training, weld kits or consumables please contact us.